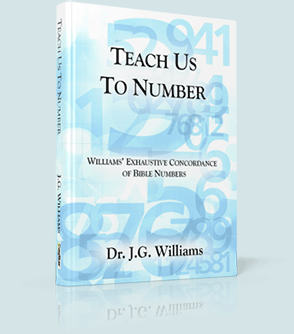 Teach Us To Number: Williams' Exhaustive Concordance of Bible Numbers is a complete concordance of all of the numbers appearing in the Bible. Watch this video to see how this book works in SwordSearcher. Watch the video above to see how fascinating this book is and how it solves the complex problem of locating mentions of numbers in the Scripture. 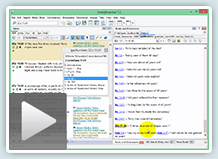 This concordance does the "heavy lifting" and lets you look up any number quickly and easily, and can be included in the Bible margin for cross-referencing. All numeric references, from zero through infinity (including fractions) are represented and indexed. This book also includes a dictionary of Bible dates, numbered items, and appendixes regarding mathematics in Scripture and supposed contradictions involving numbers. Copyright © 2012 by J.G. Williams, B.S., M.B.S., Ph.D. 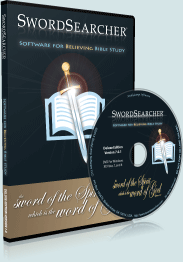 This book is included in the SwordSearcher Deluxe library with permission of the author.